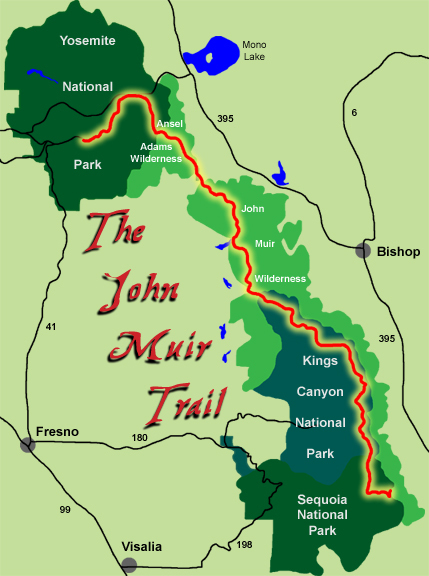 The John Muir Trail consists of 220 miles of wilderness in the Eastern Sierras. It travels through Yosemite, Ansel Adams Wilderness, John Muir Wilderness, Kings Canyon National Park and the Sequoia National Park. I took the North to South rout, beginning in Yosemite and ending at Mt. Whitney (the tallest point in the 48 states: at 14,505’) My plan was to take 30 days. Traveling anywhere from 8 to 14 miles per day: With a few days where I just stay in a single location and breath it in. My goal was to spend as much time solo hiking as I can. That said, I will be completely reliant on food resupply every 5-7 days. This is where the planning got fun! Where friends get to join me for a day or two on the trail as my “pack mules” bringing me my food resupply. I am excited that they will get to share that leg of the journey with me too. I was blessed for the few friends who were as excited about this and their commitment to helping me succeed. Packing light was crucial but I will be bringing a few extras items: Journal, fishing pole for trout, GPS tracker, Camera, Solar panel to recharge the batters as needed.